Strong, straight tape-measure standout can make any job a whole lot easier. When you’re outside, working on elevated surfaces, alone, or measuring around hazards, straighter standout makes a huge difference. STANLEY’s family of FATMAX tape measures can handle a lot more than others when it comes to the countless number of factors working to hold your tape back. Say you’re working outdoors on a particularly windy day. When the wind is blowing, even a slight breeze can cause a major headache when it catches and folds your tape blade. The key to getting the job done efficiently in windy conditions is a tape with the widest blade you can find. The wider the better. A narrow blade will bend, fold and break against higher wind speeds. 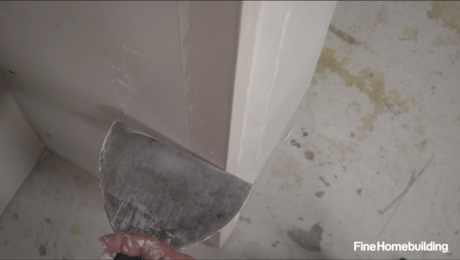 If you want to keep control of your tape, you’ll need the latest 25’ STANLEY FATMAX and its 1 ¼” wide, MAXSHIELD™ coated blade. Thirteen feet of straighter standout makes measuring in windy conditions a total breeze. 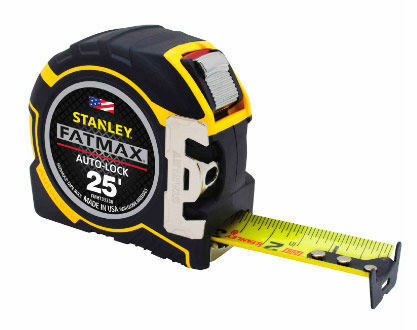 Roofers will be particularly pleased to know that the latest STANLEY FATMAX tape measure provides thirteen feet of straighter stand out. Now, measuring large gaps from a ladder or a lift isn’t a big deal. 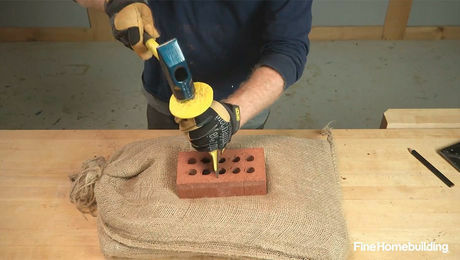 Plus, even if you’re working on a measurement a few stories in the air and drop your STANLEY FATMAX, you won’t have to hold your breath the whole way down anticipating a destroyed tape. The newest FATMAX is built to last, with an incredibly strong casing capable of surviving drops up to fifty feet onto packed soil. 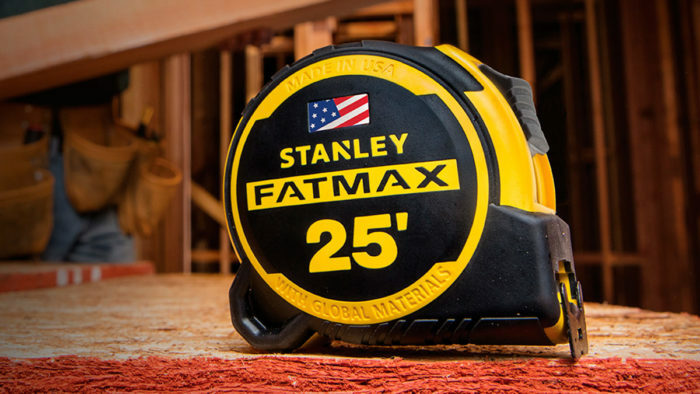 No one benefits more from the thirteen feet of straighter standout and improved ergonomic case on a STANLEY FATMAX tape measure than the lone worker. 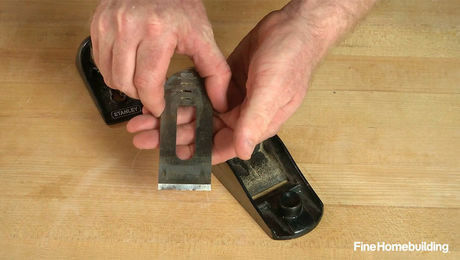 With a stiff, wide blade that resists bending for up to thirteen feet and a redesigned grip to fit better in your hand, plenty of two-man jobs become one-man jobs, and big gaps in framing are suddenly not a big deal. Sometimes, you’ve just got to get the job done. 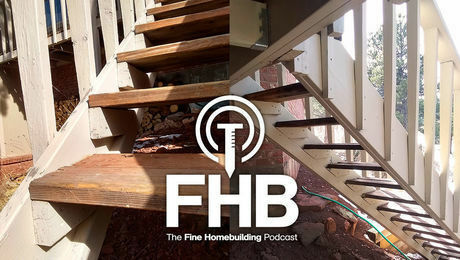 Rain, sleet, snow or shine, on the ground, or even from the top of a ladder or lift. Surfaces get slippery, the wind picks up, and accidents can happen. If you’re focusing too much on straightening out a tape that keeps folding, you’re a lot more susceptible to something going wrong. 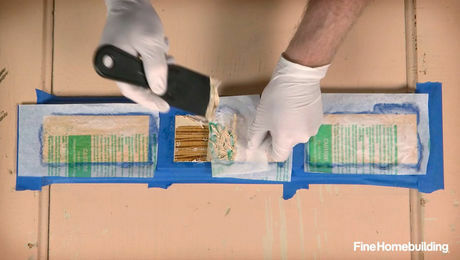 The thirteen feet of unparallelled standout on a STANLEY FATMAX tape can save you a lot of time in situations like this, and potentially a lot of pain too. 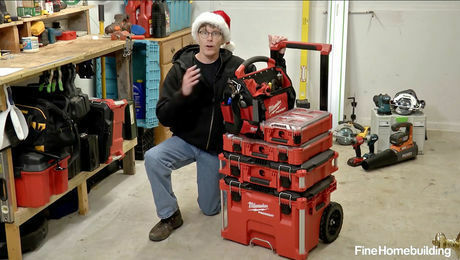 What’s better than having the best tools out of everyone on the job site? Being able to prove it. And if you have STANLEY tape on your hip, proving it is easier than ever. Your buddy’s tape stands out ten feet? You got him beat. You drop a screw and it rolls eleven feet away? No problem. Just grab your FATMAX Classic™ magnetic and let the hook on the end do all the work. No need to call for a helping hand when a STANLEY FATMAX is by your side. When it comes to an industry-leading tape, STANLEY really comes through with performance you can measure.